Transporting your bicycle by car is a great way to expand your cycling adventures. It makes it easy to find traffic-free roads, memorable trails, to take your bikes on vacation, or just head over to a friend’s house across town for a fun group ride. While on most vehicles, you can simply haul your two-wheeler in the trunk or back seat, this usually requires removing wheels. And, even if you have a roomy SUV that allows toting the bike without disassembly, there’s still the risk of chain lube or grease staining that rich Corinthian Leather interior. Plus, with bikes in the back, there’s a lot less room for your riding buddies and other gear. For these reasons, if you drive to bike regularly, you’ll appreciate how recent innovations in rack technology have made it much easier to bring your bike(s). Here we go over the major types to help you select the right one. When looking for a rack for your car know the type of vehicle you’ll mount the rack to. Consider how many and what types of bikes you plan to carry. Also think about any other gear, such as skis, snowboard, surfboard or kayak equipment. And, determine how far and over what type of terrain you’ll drive (dirt roads, etc.). All of these things help determine the best rack for you. Obviously, not all vehicles are compatible with all types of car racks. For example, you wouldn’t want a roof rack on a tall truck or on your convertible. However, in almost all cases, we can find a rack to fit your vehicle and satisfy your mobile cycling needs. These racks are portable, low cost, easy to mount to the car and remove, and easy to put bikes on. Drawbacks include having something resting on your vehicle (contact points are protected by pads, however, you might prefer nothing touching your paint job). You’ll also have to remember to fine-tune the straps during installation and before every trip to ensure that the rack is securely attached and can’t budge. The next is the hitch-mount. These racks come in all price points and fit into the hitches (also called “receivers”) welded onto the frame on the rear of many SUVs, trucks and some cars (if you don’t have one, one can be installed). This is a secure connection that ensures that the rack cannot shift or move when you’re cruising down the road. And, because these racks hold the bikes and rack away from the vehicle, you don’t have to worry about paint scratches. Also, the aerodynamics of your car decreases with the more gear you carry. Over long road trips you may notice your car is slightly less fuel-efficient. Lastly, lifting gear onto the top of tall cars can be cumbersome for shorter folk. Before you go with a roof-rack option, make sure you can lift your bike above the roof of your car, or else you’ll want to bring along a small stepladder. The ideal place to carry bikes in a pickup truck is in the bed. If it’s just one or two bikes and your bed is large enough, you may be able to simply lay them in the bed in such a way that they don’t bump into each other and stay put. For more bikes, there are rack models that fit inside the bed (and other vehicles with beds, like vans) that hold the bikes upright and in place. People with pickup trucks, and especially those shuttling bikers up and down mountains for downhill runs love padded tailgate covers. They’re a simple, quick way to load up your truck with bikes, and depending on the truck size, it’s possible to get up to six bikes in the back. The padded cover simply straps around your tailgate and you place the front wheels over the tailgate with the remainder of the bikes in the bed of the truck. Which Mountain Bike Wheel Size is Best For You? We realize this isn’t breaking news, but we regularly get asked about what mountain bike wheel size is best, how it performs, and what the future holds. Our good friends at Trek Bicycles may be able to help answer some of the questions spinning around (no pun intended)! With multiple MTB wheel sizes, deciphering what’s hype and what really matters can be difficult. Fortunately, Trek has spent the past fifteen years becoming the expert on mountain bike wheel size. Lean on Trek’s expertise to simplify the wheel size debate so you can decide for yourself which size mountain bike wheel is right for you. So take a few minutes to check out this great video that Trek Bicycles put together, and decide for yourself! Which wheel size fits your type of riding best! Click on image to watch video! Wear and tear protection plan for a bicycle? Does this sound to good to be true? Wondering why no other bicycle manufacturer is offering this protection plan? Well, it IS for real, and this is indeed the only protection plan in the cycling industry that covers wear and tear on your Trek or Electra bicycle! No joke! What does Trek Care Plus include? Our bicycles are meant to be ridden, and naturally a little wear and tear will inevitably occur due to normal use or aging of parts. But don’t worry, we’ve got you covered so you can keep your bicycle on the road longer. Wear and tear protection does not cover regular maintenance. Accidents happen to everyone, so no worries. You’re protected against the sudden and unforeseen accidental damage that happens when you are riding your new Trek bicycle. A Trek is built to last. 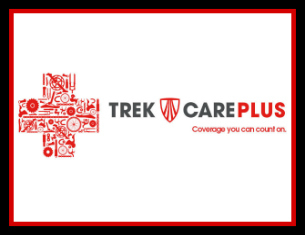 But with purchase of the Trek Care Plus plan, you can have additional protection for three years inclusive of the already thorough manufacturer’s warranty, so you can rest easy. It’s the coverage you can count on. Check out our website for full details, or stop by any of our 8 locations and one of our friendly and knowledgeable staff can help you today! Big news breaking this past week! 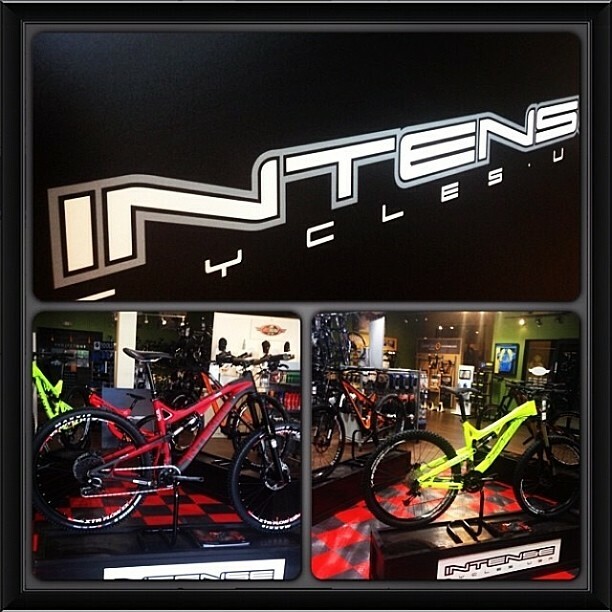 Jax Murrieta is now an authorized Intense Cycles dealer! Yeah, we are stoked to be carrying Intense! The timing is perfect too! Intense just released their brand spanking new Tracer 275 carbon bikes, launched a brand new website, and sign Brian Lopes. How much more excitement can we handle? So, not only are we going to be carrying one of the greatest mountain bike brands in the world, but Jax will be able to distinctly offer added value to our clients. 1. The store General Manger (Jordan Frates) races an Intense and is personal friends with several staff members at Intense. This will mean the best service from Jax/Intense Cycles in the industry. 2. Intense Cycles is about 10 minutes away from our Murrieta location. We will receive our orders hand delivered to our doorstep. You want it, we will have it faster than anyone in town. 3. Want to DEMO any bike from Intense? We can get that bike for you within a day so you can go shred your favorite trail. 4. The boys at Intense set up the store with one of the coolest displays around. You will know when you walk through the front door that Intense is doing things right! If you can’t tell, we are stoked to be partnered with Intense cycles. Go check out their new website which includes the brand new Tracer 275 carbon bikes! Beter yet, come swing by the Murrieta store and check out the goods in person! See you soon!